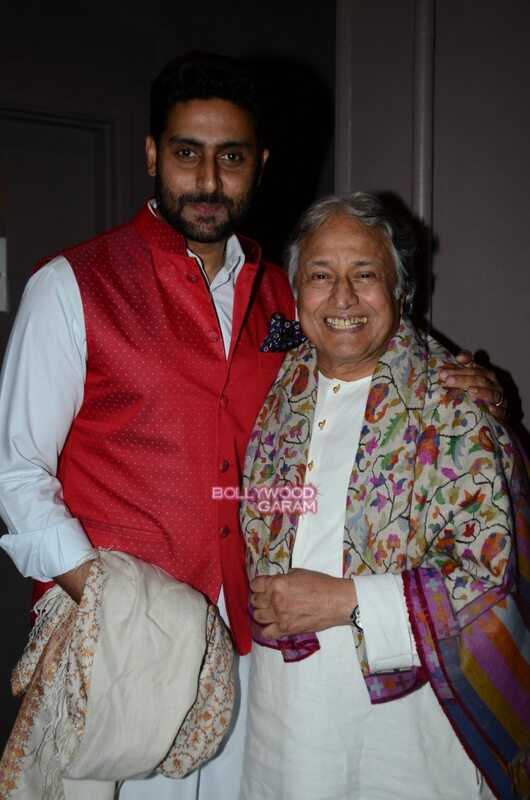 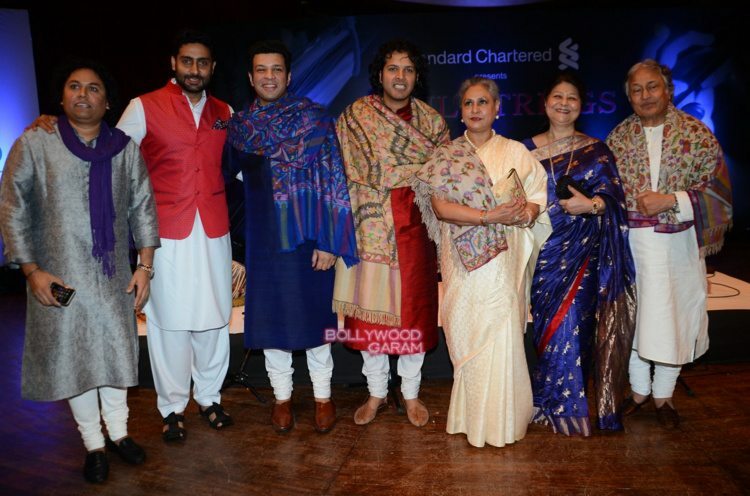 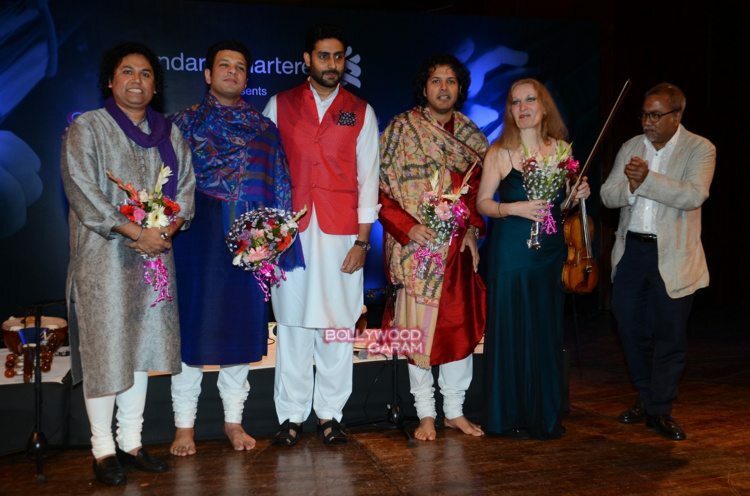 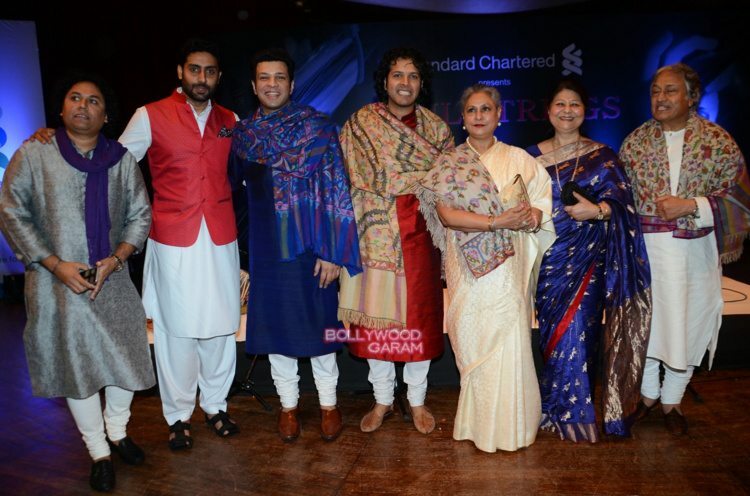 Bollywood biggies Abhishek Bachchan and Jaya Bachchan attended the Amaan and Ayaan Ali Khan’s collaborative performance held in Mumbai on February 8, 2016. 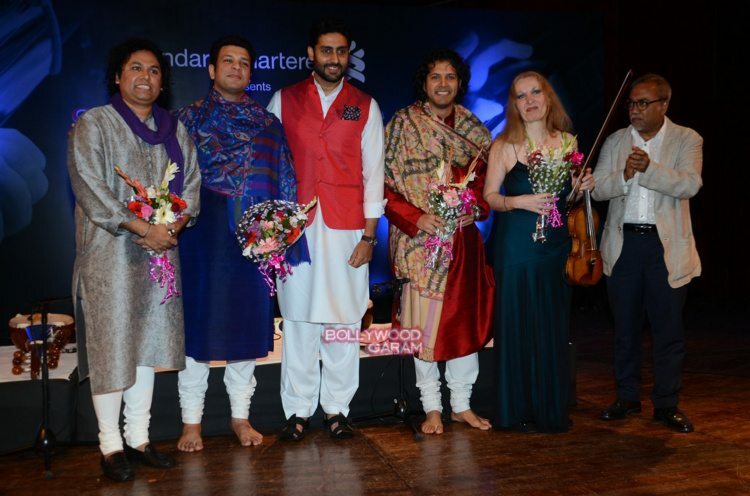 The event also saw Grammy nominated violinist Elmira Darvavora. 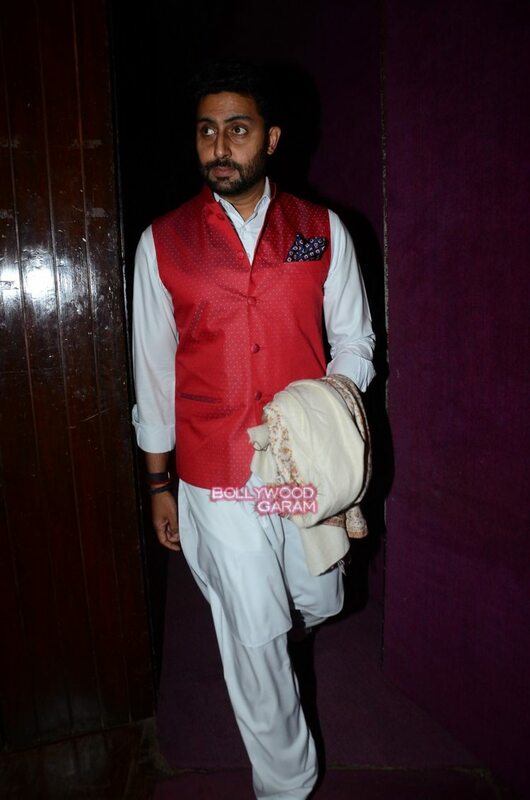 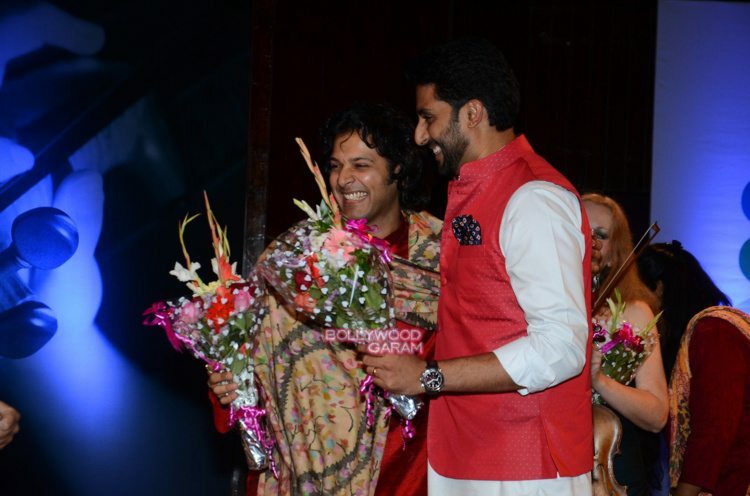 Actor Abhishek was seen felicitating Darvavora with a bouquet of flowers after the performance.